Ashley Dorais and Parker Paragas were selected to receive this year’s “Scholar-Leaders Award,” sponsored by the Connecticut Association of Schools (CAS). This award program is designed to recognize one boy and one girl from each middle level school in Connecticut who has distinguished herself/himself in scholarship and leadership in the school and community. 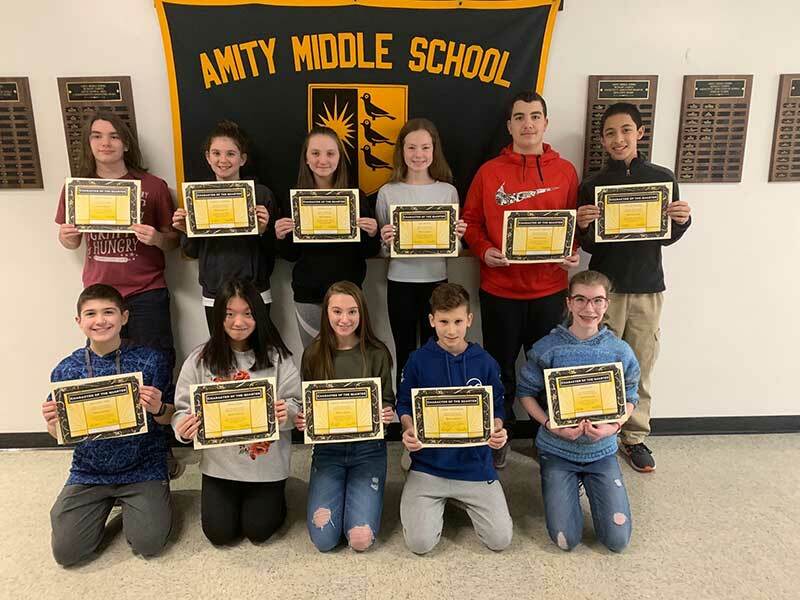 Team Black teachers from Amity Middle School in Bethany selected Ashley Dorais for this award because she consistently exceeds teacher expectations in her care and approach to her learning. 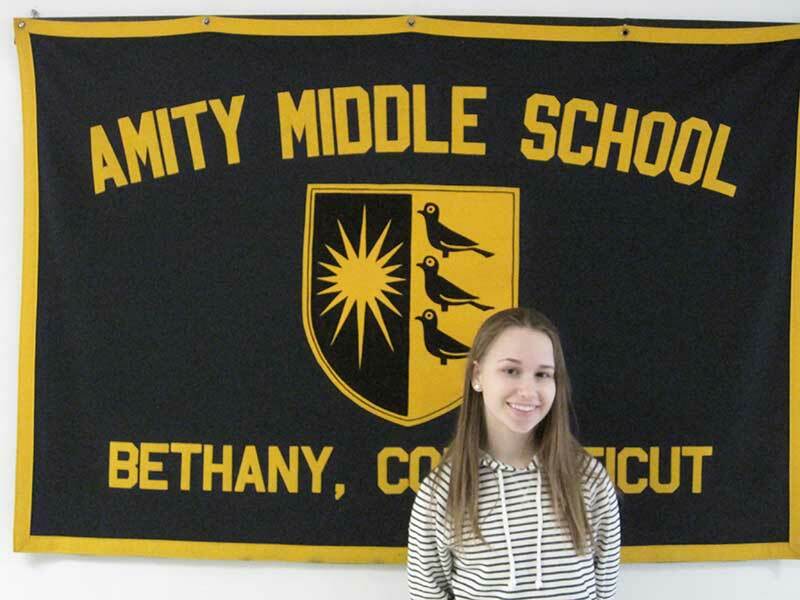 Ashley has achieved first honors and citizenship honors for her entire tenure at Amity Middle School in Bethany. Ashley’s enthusiasm for learning is unparalleled and she inspires her peers with her efforts. Her creativity in assignments is exemplary. She is a diligent student who takes great care with her assignments to complete them thoroughly. She consistently shows our Be Amity characteristics. Ashley was a recipient of the Be Amity Character of the Quarter award for Motivation and has received citizenship honors each quarter. Ashley’s strong writing skills have been recognized by her teachers and also by UCONN’s writing contest. Her short story, “A Strange Day in July,” was one of two seventh grade entries in the state to be chosen and published in the UCONN writing contest. Ashley’s strength in the field of scientific studies led to her selection to be involved in the Yale Pathways to Science program based on the recommendation of her seventh grade science teacher. In addition to Ashley’s strong academic skills, she is a talented artist as well. Ashley’s artwork was selected to be printed on the back of t-shirts that promote our “Be Amity” program. She is a member of Chamber Singers at Amity Middle School in Bethany, a small group of sixteen performers, and Charmettes at Amity Middle School in Bethany, a smaller group of six elite singers. She did an excellent job performing in the role of Agwe in the school’s production of Once on this Island Jr. in 8th grade and in the role of Mama Bear in Shrek in 7th grade. She sang in the mixed choir for the Southern Regionals Music Festival and was voted as the “Most Musical” in the yearbook for 8th grade. Also, with respect to the arts, Ashley is a gifted ballet dancer who dances with the New Haven Ballet Company. Ashley’s talents extend to community service as well. She participates in the Children Youth Services monthly giving back activities like fundraisers for foster children or for stray animals due to Hurricane Harvey. Ashley is a true leader and has also assisted with tours and a question/answer session on sixth grade parent orientation night. Ashley is an inspiration to her peers and her teachers with her dedication, creativity, and kindness. Parker Paragas was selected by Gold Team teachers at Amity Middle School in Bethany for the 2018 CAS Scholar Leader Award. Parker is a fantastic young man who exemplifies all the qualities of a Scholar and a Leader. He is a sincere young man, a high-achieving student, an articulate class contributor, a top level competitive athlete, and an accomplished musician. Parker is an honor student who strives to excel in all that he does. Indeed, he excels well beyond the classroom. 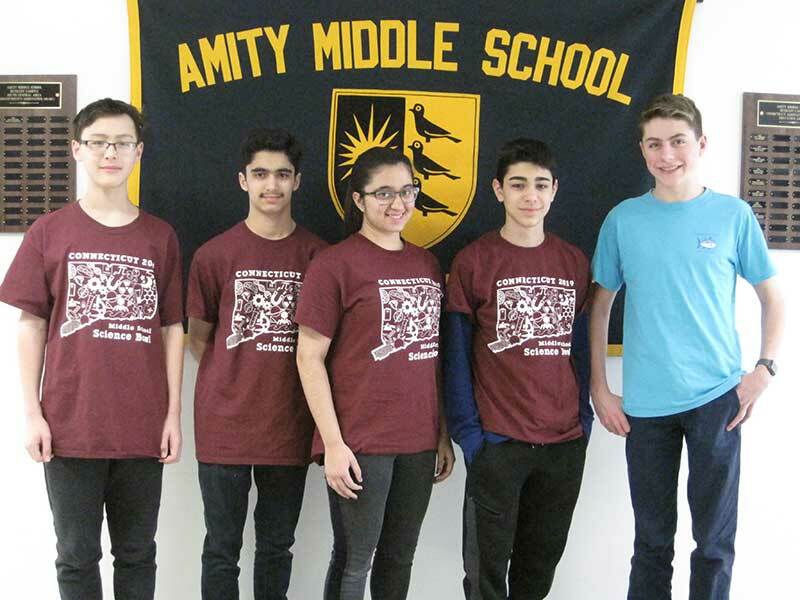 Parker participated in our Social Robotics and Engineering program at Amity Middle School in Bethany and ultimately competed in the Social Robotics and Engineering Fair earning third honors in the competition. He is also a participant in Yale Pathways to science where Parker, with other students from the surrounding area, participates in science activities with Yale University staff. In addition to all of this, Parker is an exceptional athlete. A fixture on the Track and Cross Country teams at Amity Middle School in Bethany, he is very active in the New Haven Age Group Track Club (NHAGTC). In addition to running, training, and competing with his track team, Parker takes a leadership role helping the coaches by organizing and leading the team during warm-ups, stretches, dynamic/training workouts, and running workouts. He has earned All-American honors more than a dozen times and has won six Jr. Olympic Gold Medals. He has also been active in his local baseball, basketball, and soccer programs. Lastly, he is an entrepreneur. In what time he has left he and his brother have a business mowing lawns and shoveling driveways. Parker is also an accomplished musician. He is a top percussionist for the Concert Band and Jazz Band at Amity Middle School in Bethany and is a leader in this group. Parker is the epitome of a Scholar Leader. A curious, gifted, and persistent academic; a wonderful musician; and a determined athlete are qualities rarely found in such abundance as they exist in Parker. Students, their families, and staff representatives were recognized at the annual CAS Middle Level Scholar-Leader Banquet on June 4, 2018 at the Aqua Turf Club in Southington.